Bristol City will be looking to extend their winning run to five games when they host Bolton Wanderers at their Ashton Gate Stadium on Saturday afternoon. The Robins have been in a thrilling form of late and seeing that they defeated Bolton in the Championship earlier this month, it is no surprise they are considered hot favourites to win the FA Cup clash. Bristol City are a real force to be reckoned with at home and considering that the Trotters are fully focused on avoiding relegation to League One, we are tempted to put our money on the home side. 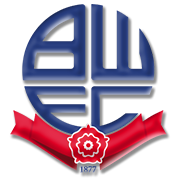 Bolton suffered a loss in each of their five away games in the English second tier, which is yet another reason why home win should be considered. A man to watch in the home team will be Senegal international Famara Diedhiou. Nathan Baker is a product of Aston Villa football academy. The left-footed defender played 115 games for Aston Villa in the league and it has to be noted that he scored only goal for the club during his spell at Villa Park. Nathan Baker is used as both centre-back and left-back and the 189-cm-tall footballer is very good in the air. Nathan Baker was born in Worcester, England on April 23, 1991 and he currently plays for Bristol City in the Championship. After ending his loan spell with the Robins, he signed a permanent deal with the club on July 28, 2017 for an undisclosed fee. Nathan Baker has yet to make his debut for England national team, but he has three caps for England U21 team. Nathan Baker made his debut for the under-21 squad against Iceland back in 2011. The English footballer has a contract with Bristol City which expires on June 30, 2021.